Beginning last November 2018, the Rt. Rev. W. Michie Klusmeyer, Bishop of West Virginia, appointed the Rev. 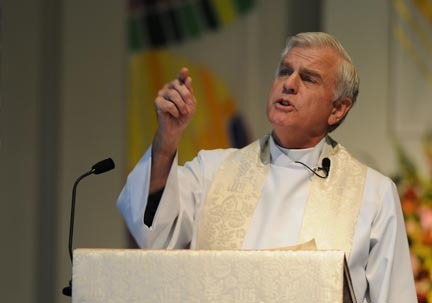 E. F. Michael Morgan, Ph.D. to serve Trinity Episcopal Church as priest-in-charge. Dr. Morgan originally began his ministry and was ordained to the diaconate and priesthood in the Diocese of Pennsylvania. He previously held church positions in Pennsylvania, Massachusetts, New Jersey, and Ohio. For 23 years he served as the longest active-tenured rector in the Diocese of Southern Ohio at Church of the Good Shepherd, Athens, Ohio; a ‘university-parish’ on the campus of Ohio University. Dr. Morgan is a graduate of the University of Pennsylvania, Oberlin, Episcopal Divinity School, Ohio University, and was a 2001 Merrill Fellow at Harvard Divinity School. His Ph.D. is in Communication Studies. Previously he was a Fellow at the Washington National Cathedral’s College of Preachers; completed a sabbatical with the Anglican Observer to the United Nations in NYC; and in 2007, was a Fellow-in-Residence at the School of Theology, Sewanee, TN. For two years he was Executive Director of the Episcopal Preaching Foundation, coordinating with seminaries the national Preaching-Excellence-Program (PEP). He further served as Board Chair of the church’s Evangelical Education Society, and co-authored “Faithful Living, Faithful Dying: Anglican Reflections on End of Life Care” (Morehouse) while participating on the General Convention Task Force of the Standing Commission on National Concerns. In 2013, Dr. Morgan received a Brookings Legislative Fellowship serving on Capitol Hill in the United States House of Representatives. More recently he held interim positions at churches in Charles Town, WV; Scotch Plains, NJ; Glenside, Hulmeville and Germantown (Philadelphia), PA. In 2015 he was honored with the Distinguished Alumni Award as a graduate of the Episcopal Divinity School, Cambridge, Massachusetts. 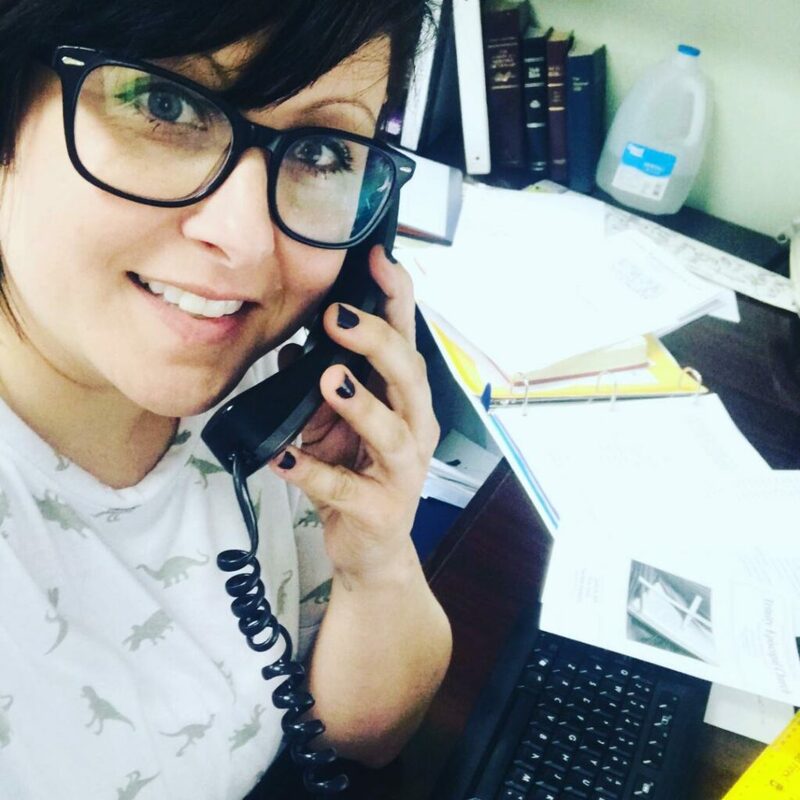 Jessica began working as the Administrative Assistant for Trinity Episcopal Church in February of 2019. Jessica is native of Vermont but, having been raised in a military family, she has had the opportunity to travel and live in various regions of the United Sates. She is a graduate from Austin Peay State University (Clarksville, TN) from which she received a B.S. in Communications with a concentration in Theatre Performance and Design. She is the Founder of the Clarksville Children’s Theatre Organization and served as the Managing Director for two years. Jessica and her family moved to Morgantown in 2012. Since moving to Morgantown, Jessica has worked closely with several local non-profit organizations in Administrative, Events, Fundraising, and Marketing roles. These organizations include; Ronald McDonald House Charities, West Virginia Public Theatre, and Empty Bowls Monongalia. Currently Jessica serves as the Digital Marketing Volunteer, Front Desk Volunteer, and Grant Writing Chair for Northern West Virginia Dance Council.